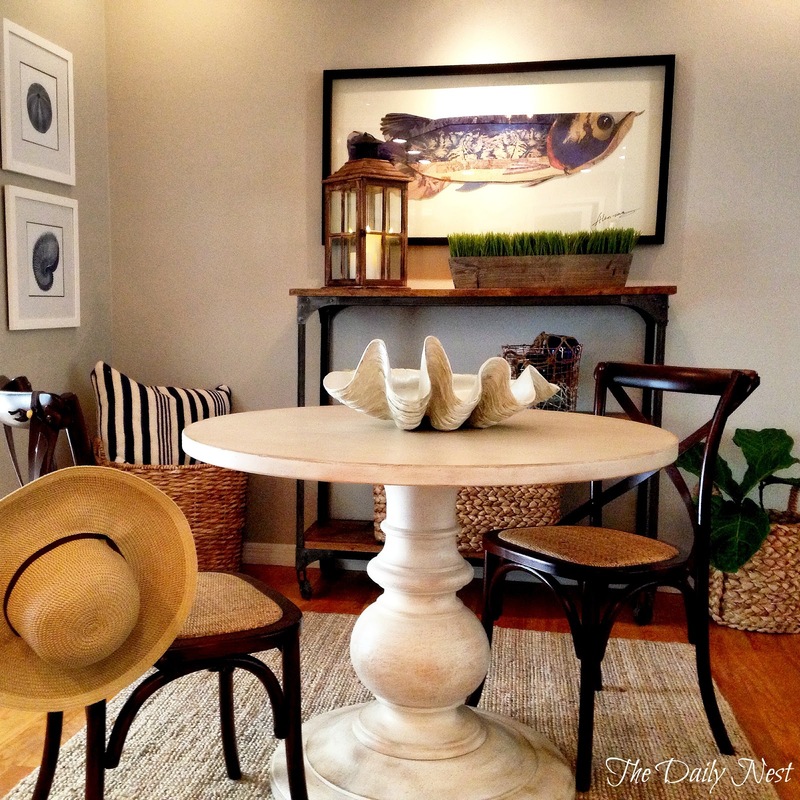 If you've read my blog long enough you know that I love the coastal influence in home decor. I don't know if it's because I live in Florida or because I just love anything to do with the water, I'm just drawn to it. So now that Spring is here I'm ready to bring in my own coastal touches. I changed out the framed chalkboard that was above the wooden cart and brought in the big fish picture that I got a while ago from Homegoods. The colors compliment the shell pictures to the left well. 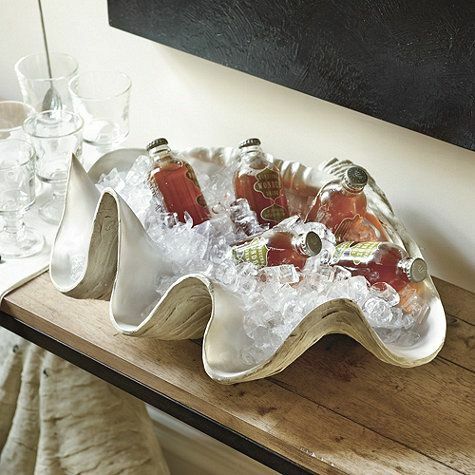 I also finally broke down and bought the giant clam shell from Ballard Designs, and it's everything that I expected! They show it used in a variety of ways from plants to drinks in ice for a party! That's my kind of purchase! I also like the way it looks filled with beautiful succulents. I'm not sure yet which way I'll style it, but it will be fun that I'm sure of! I can even see it filled with beautiful white christmas ornaments! 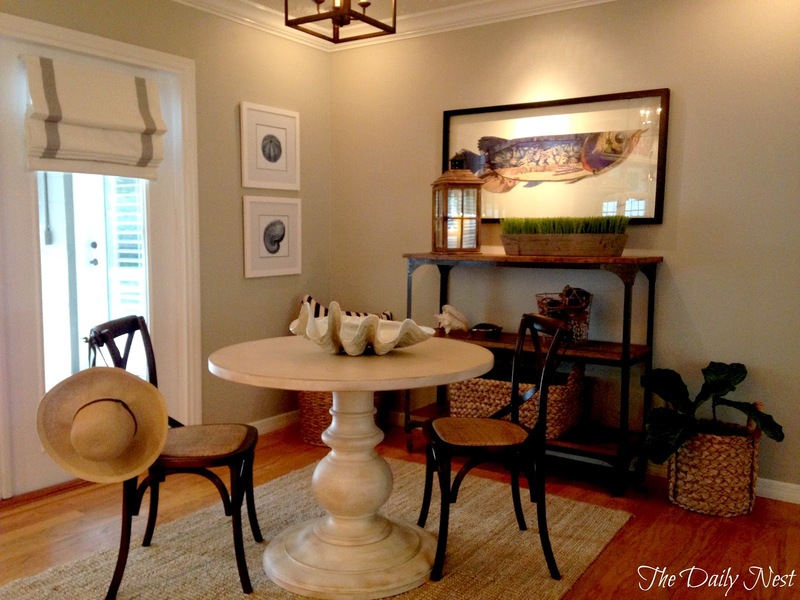 I think one thing I love about the coastal feel is just the easiness of the style. Nothing fussy, nothing formal, nothing uptight. It's just a come on in put your feet up kind of feel, and for me that's home!